All the reviews will be soon avalaible on DjOriented . 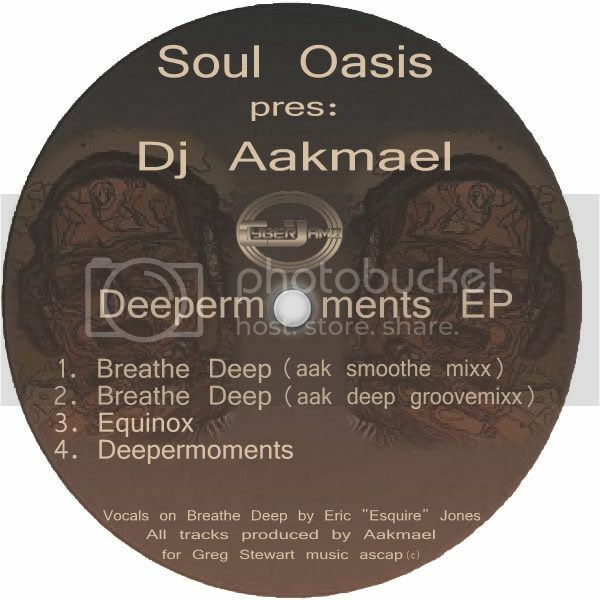 CyberJamz continue to put out slammin' releases that will take over dance floors by storm, with DJ Aakmael's "Deepermoments EP" being no exception. The title track is a deeply rumblin' affair featuring wicked synths that together with the sweet percussion create a hypnotic feeling, while "Equinox" is a deeply thumpin' track featuring a jazzy piano alongside a lovely chords. "Breathe deep" features a sensual vocal by Eric 'Esquire' Jones over a smooth, deeper than deep groove that is enriched with wonderful melodic chords and keys. This track comes in two equally great variations to choose from. Out Now.. Soul Oasis pres: Beppe Gioia "Untitled Fantasy"